Hello! I’m Mark - a designer, creative facilitator and Design for Interaction student at Delft University of Technology, constantly aiming to create exciting experiences. Providing visitors of the food bank with a joyful experience every week with Studio Kiddo. Support pro-social interactions between clients of the food bank while they receive their weekly food package. Gain deep understanding of their needs by mapping out the current service journey and by conducting iterative design and research interventions with full-scale interactive prototypes. During this individual project I worked as a volunteer at the food bank to connect with the target group in context. Eventually I created Studio Kiddo, a mobile installation that provides clients of the food bank with an engaging activity in a dynamic setting in order to make receiving weekly food packages a more joyful experience. Evoking playful social connections at empowering work environments at Schiphol Airport. Design an interactive office environment for Schiphol, empowering sustainable and conscious work practices in a highly dynamic setting. Currently, people get stressed by the hectic environment and are stuck on their phones maintaining their digital connections, dissociating themselves from real life contact. Together with my multidisciplinary team, I designed Daya and created a full-scale interactive prototype made with sustainable materials. With Daya, you will not only experience an empowering place to work and charge your devices, but you will also acquire something more valuable: real life social connection. Daya evokes this social connection through playful collaboration, which you will need in order to receive power by controlling the energy in an interactive way. Therefore, Daya creates energy awareness and makes you feel in control. Improving comfort and user experience of self-service luggage drop-off at Schiphol Airport. Analyze the usability and user experience of an existing product, come up with a redesign for the entire product-service system and evaluate it. Turn a promising product into an excellent experience with an innovative user interface. Together with my team, I redesigned the self-service luggage drop-off system at Schiphol International Airport. During this project we executed extensive research (in context) on the current design, interviewed users and observed their interactions with the product. Different concept directions were prototyped and tested with users. The final redesign was focused on delivering a comfortable experience for the end user, while offering efficiency and consistency for the airport. Speculative futures driven by interactive design interventions. Biohack your ideal baby. Design an immersive experience to provide users with a glimpse of the future of health. Critically explore different future perspectives and let users reflect on their actions. Apply user-centered design principles to create an artifact for exhibition visitors. Together with my team, I created multiple interactive prototypes to enable speculative storytelling. For the final prototype we explored the field of embryo-manipulation. DEGEN embodies the possibilities of genetic engineering and biohacking. Users can experience being baby designers by playing with the available settings and considering the consequences. If satisfied just confirm your decisions with the push of a button and receive your personalized embryo. After insertion a perfect baby will be born in only 8 months. After all, who doesn’t want the best for their children? The interactive AstroPlant dashoard provides teenagers with a real-time data overview and presents this in a kid-friendly and engaging way. It does so by offering a gamified experience using explorative goals, social collaboration and playful competition. Making the AstroPlant experience joyful and educational at the same time. Solving challenging service design questions for international companies in China and Brazil. Flight Case is an annual summer programme, I organized organized twice, in which we teamed up with international companies to create dynamic and innovative solutions for challenging design questions. The group consisted of 28 carefully selected students guided by 2 Professors from Delft University of Technology. The committee was responsible for the organization from A to Z. Starting with selecting an interesting destination, contacting companies to collaborate with, recruiting ambitious students, setting up and organizing an elective research course and finally all logistic arrangements concerning the journey itself. Full time board year as Chairman at ID study association, and varying organizational work. ID is the student-led association for all students at the faculty of Industrial Design Engineering faculty of Delft University of Technology. ID is an active and creative association with more than 2500 members and 27 committees. 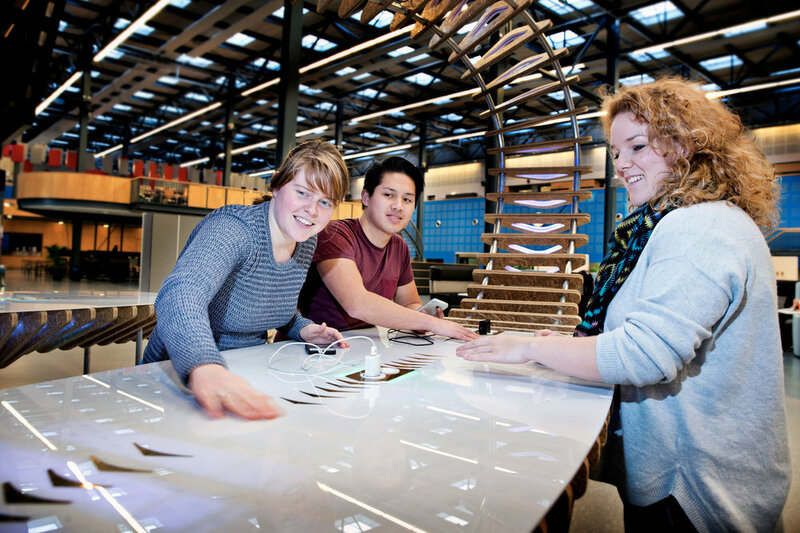 We offer social activities, career events and design trips to students of Industrial Design Engineering. As a full time board member, my role as Chairman was to keep track of our goals, group dynamics and success. Developing an online fashion brand. Together with a friend I set-up a fashion brand and sold snapback caps and vintage army jackets through an online webshop. During this project I was responsible for the design, marketing and development of the website. I am always up for new challenges, please don't hesitate to send me a message! Also, if you have any questions or want to know more about any of my projects, please ask.